Microsoft recently announced a new cloud solution called Azure Sentinel. It is a service that aims to expand the capabilities and potential of the products SIEM (Security Information and Event Management) traditional, going to use the power of the cloud and artificial intelligence to be able to quickly identify and manage security threats affecting your infrastructure. This article lists the main features of the solution. 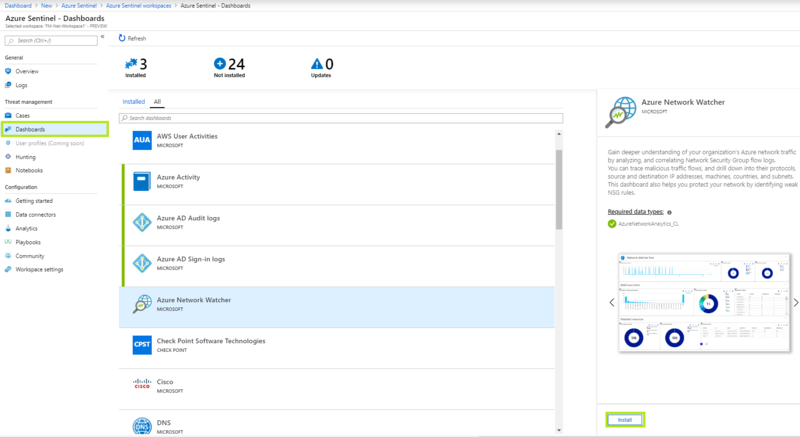 Azure Sentinel is a solution that allows real-time analysis of security events and information generated within their own hybrid infrastructure, from server, applications, devices and users. It is a cloud-based service, it follows that one can easily scale and have high-speed processing of information, without the need to implement and manage a dedicated infrastructure, to intercept potential security threats. Azure Sentinel leans to Azure Monitor that, using the proven and scalable repository of Log Analytics, is able to accommodate a high volume of data, which it is possible to process them effectively thanks to an engine that ensures high performance. 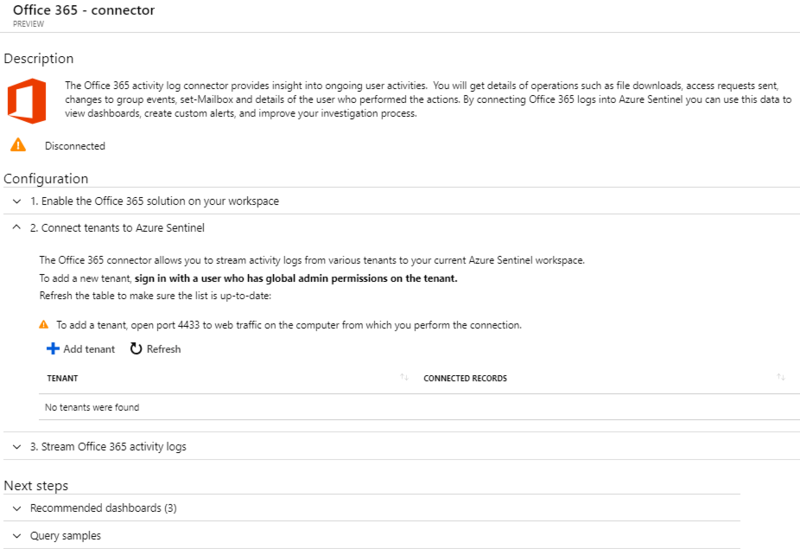 With Azure Sentinel you can aggregate different security data from many sources, using the appropriate connectors embedded in the solution. Azure Sentinel is able to connect, in addition to the different platform solutions, even the most widespread and popular network solutions of third-party vendors, including Palo Alto Networks, F5, Symantec, Fortinet and Check Point. Azure Sentinel also has a native integration with logs that meet the standard formats, as common event and syslog. Using this solution, you also have the ability to easily import data from Microsoft Office 365 and combine them with other security data, in order to get a detailed analysis of your environment and have visibility into the entire sequence of an attack. 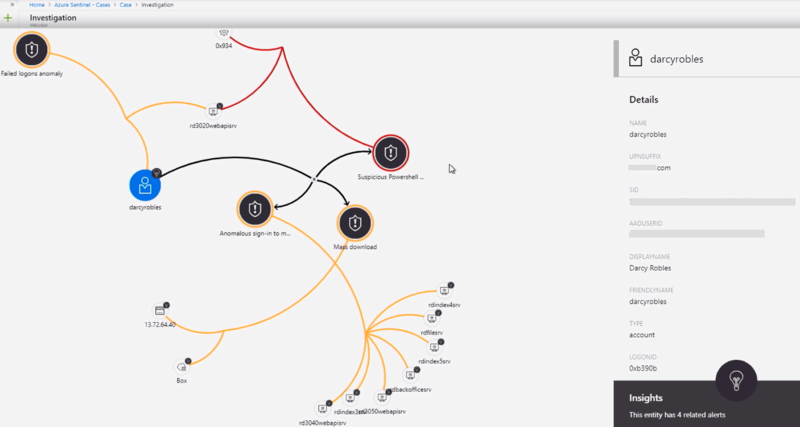 Azure Sentinel also integrates with’Microsoft Graph Security API, which allows you to import your own threat intelligence feeds and customize detection rules of potential security incidents and notification. 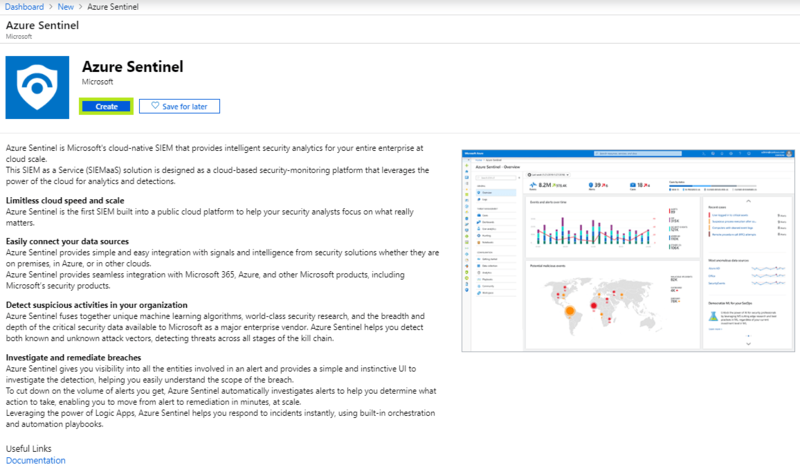 Azure Sentinel uses scalable machine learning algorithms, able to correlate a high amount of security data, to present to the analyst only potential security incidents, all with a high level of reliability. 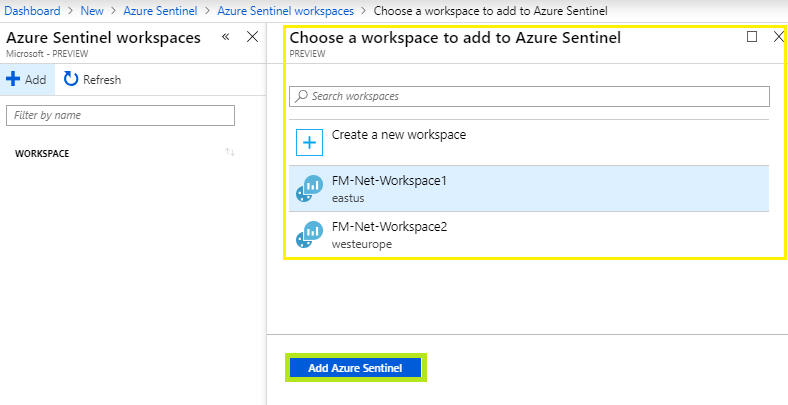 Thanks to this mechanism Azure Sentinel differs from other SIEM solutions, adopting traditional correlation engines, drastically reducing noise and consequently the effort for the analysis required in detecting threats. After enabling the Data Collectors required, you will begin to receive data in the workspace of Log Analytics and setting up ofAlert Rules, it can generateCases to report potential security threats. For more details on how to detect threats with Azure Sentinel, see the Microsoft's official documentation. The data processed by the solution can be found using the dashboards, customizable to suit your needs. Dashboards allow you to conduct investigations by reducing the time needed to understand the scope of an attack and its impact. If security threats are detected, against the Alert Rules set, it is generated a Case, for which you can set the severity, the status and its assignment. In the same dashboard you can also perform actions. 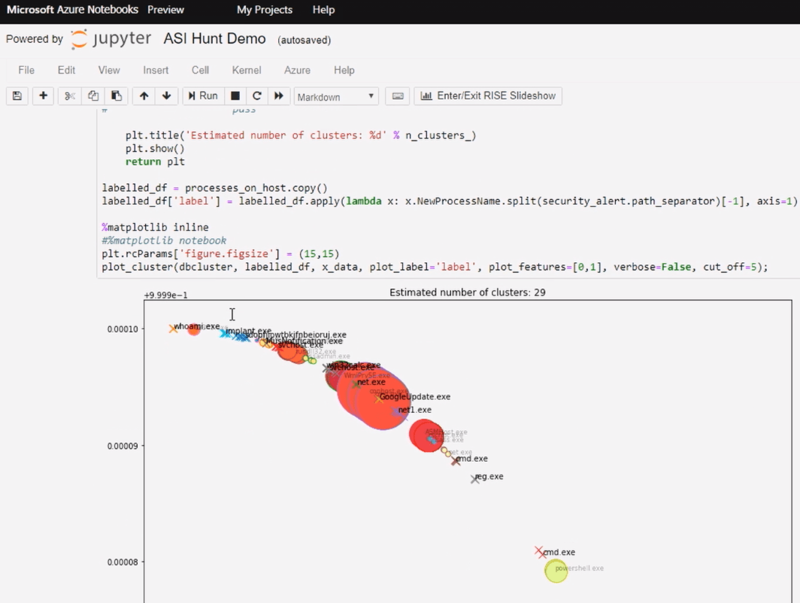 Proactive research activities of suspicious transactions are a fundamental aspect for security analysts, that with Azure Sentinel can be made through two specific features that allow you to automate the analysis: search query (hunting queries) and Azure Notebooks (based on notebook Jupyter), that are constantly updated. 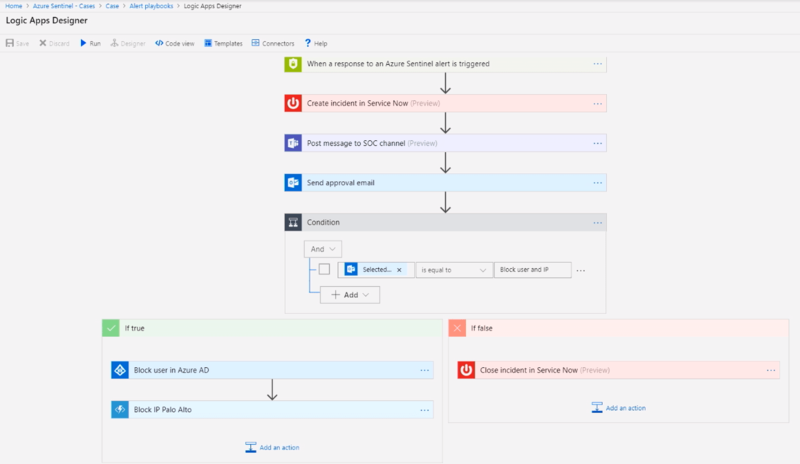 Azure Sentinel provides the ability to automate and orchestrate the response to common problems, so you don't have to manually perform repetitive tasks. By means of predefined and customizable playbooks you can quickly respond to security threats. Microsoft also announced that more defense and investigation tools will be integrated in the solution increased. Azure Sentinel is a complete solution that provides native SIEM in the cloud and introduces significant benefits over traditional SIEM solutions, which require to sustain high costs for the maintenance of the infrastructure and for data processing. Azure Sentinel enables customers to simplify the tasks required to maintain high security in the infrastructure and to scale gradually to suit your needs, providing a wide integration with third party solutions. 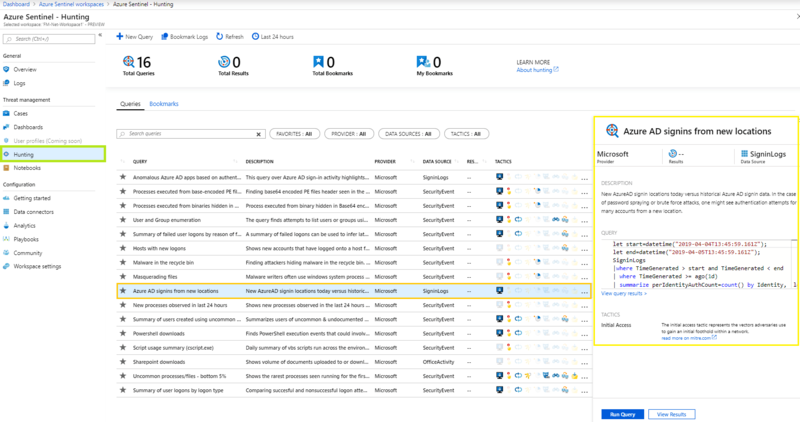 This entry was posted in Cloud, Log Analytics, Microsoft Azure, Security, Security & Compliance on April 10, 2019 by Francesco Molfese.